Lavishly update with this stunning bed. 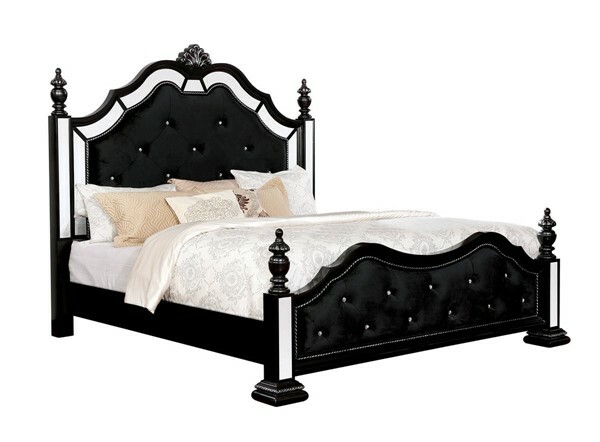 The high back bed creates a glamorous focal point with its rounded finials, smooth arches and tufted details. The diamond-like button tufting adds more shine and plays with light in order to really elevate this bed's luminosity.